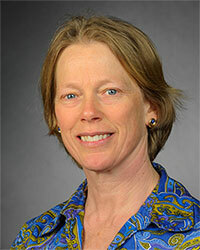 Dr. Alice Kyburg is an associate professor of philosophy at the University of Wisconsin-Oshkosh. She received an interdepartmental PhD in philosophy and computer science from the University of Rochester and earned her master of education (MEd) from the University of Massachusetts-Amherst. While Dr. Kyburg’s main research is in the areas of cognitive science and the philosophy of mind, she has taught ethics for 20 years and has recently begun to research the developing subfield of data science ethics.